Eco-Friendly Building Material with the Strength of Steel! As a direct exporter we provide special discounts and wholesale pricing to retailers, builders and architects who require large quantities *full container loads* for specific projects. All our bamboo poles for sale are sustainably harvested from mature stems and treated to last for at least 30 years (if used correctly). Boron treated bamboo should preferably be used indoors i.e. not in direct contact with the outdoor elements (buried in soil, or exposed to sun or rain). If used for outdoor applications the poles should be coated with a water-repellent and UV-resistant oil. The coating should be applied on an annual basis to ensure maximum durability. 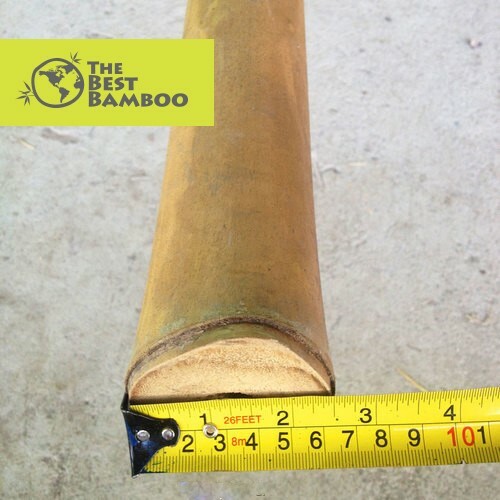 "Need help with a quick bamboo pole quote? - CLICK HERE!" In Central and South America grows the ubiquitous and invaluable tropical bamboo species, Guadua Angustifolia Kunth, or simply Guadua. This remarkable construction material is used in an array of mainstream applications in Colombia. Not only does this bamboo species have the desirable characteristics of long length, wide diameter, and durability, Guadua is extremely renewable, has a high level of CO2 sequestration and a rapid rate of biomass production. In 1999, a 6.2 earthquake resulted in the Colombian code standardizing of Guadua as seismic-resistant, due to the many Guadua-constructed buildings that withstood little to no damage. Research interest in this material has continued to gain momentum since this event. Anyone who spends a few minutes researching bamboo poles often comes away with the knowledge that, "you can do anything with bamboo!" I love when they say this, although I have to let you all know we do need a little imagination to be able to make what we envision. Now, back again to the statement "you can do anything with bamboo", while this is mostly true, 'anything' isn't a product. Kiln-dried poles as stand-alone items add wonderful accents to any home. Bamboo can be custom cut and stained to order to compliment any decor. The possibilities are endless, but we need to learn how to transform this wonderful golden grass into something else! Bamboo poles can be split (we can also provide bamboo slats), allowing for an even larger variety of custom home interior designs. Privacy fences, Bamboo Fences, Bamboo Panels, Wall Panels, & Bamboo Ceilings are just a few examples of what can be done with The Best Bamboo Slats. In terms of color, most people enjoy the natural beauty of bamboo. American Henon provides a subtle olive green, silver-ish color, while Guadua Bamboo is a beautiful golden brown. Choosing the right species is a matter of taste, as is the decision to stain or flame-treat it. 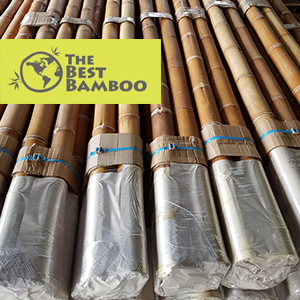 When you choose to buy bamboo poles, you need to make sure that your provider has all the permits and follow all harvesting rules! Bamboo is a very versatile plant but also has its temper and timing! When harvesting happens, the cut is extremely important, when bamboo is young its outer wall is very thin. As it gets older, it grows thicker on the inside. 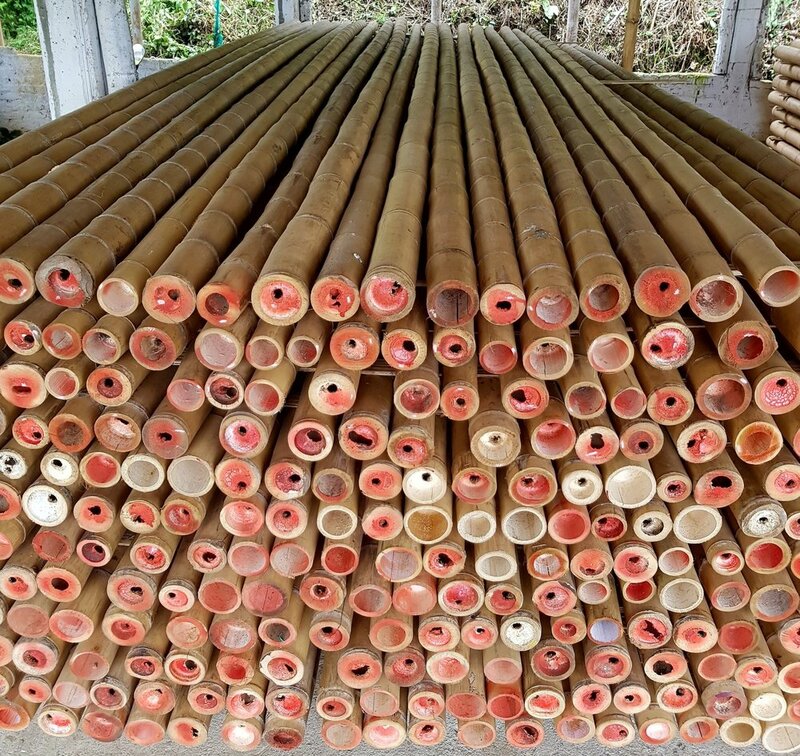 By the time the best bamboo poles reach 5 years of age, they are extremely thick and excellent for landscaping and lumber. In fact, the best bamboo poles can be manufactured into flooring that is many times stronger than oak! To be able to judge the age of bamboo, simply turn it on its side. Most timber species, if harvested properly, should have a thick outer wall at the base that slowly tapers off to the top. It is at the end of the pole where the most cracking occurs, so be sure to note whether the end of the pole has an intact node or not. 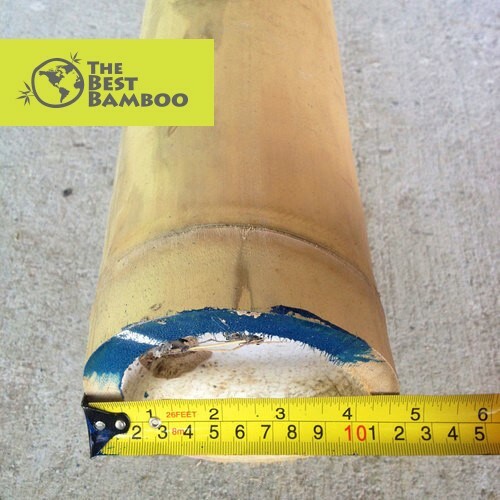 The Best Bamboo Poles require very little maintenance. As they're already dried to under 20% moisture, there's very little that outside temperature changes and humidity can do to warp or crack the poles. Keep your poles clean by simply washing them with soap and water. I recommend warm water with white vinegar. After, it is always good to keep them healthy with linseed oil. Likewise, stained and fire-treated poles require little in the way of maintenance. Properly stained bamboo pole's color will not fade over time. As with all organic products, however, some color fading may occur over the years or if in contact with direct sunlight. 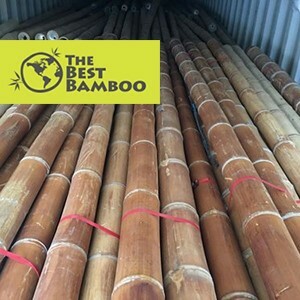 If you would like a quote on our Best Bamboo Poles for sale, please fill the form bellow and a Best Bamboo representative will contact you within 24 hours.